The cost of becoming a part of Texas Fishing Guides is only $10.00 per month, plus a one time set up fee of $35.00. You will receive an invoice each Quarter for $30.00 by email. You receive a 10% discount for Annual Pre-payment $108.00 for the year. You can pay with a credit card (MasterCard, Visa, American Express or Discover) or by check. We will republish your existing site with the URL of http://www.texasfishingguides.org/yourname. You will have a linked picture and summary on the front page and we will hotspot the map with your location. 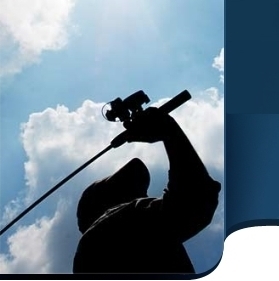 We will work diligently to register and promote the Texas Fishing Guides home page with its links to get it ranked in the top ten under the main search engines. You will of course be responsible for registering your individual site to each engines, but we have included a convenient link to these search engines to speed up this process. We will be happy to answer any questions you might have about submitting your URL to the search engines. We will be happy to design a site for you. Email pictures you wish to include on the site or send them by snail mail so that we can scan them in for you. In addition we will need some advertising information to include on the page. To sign up with Texas Fishing Guides please fill out form below and send using submit at bottom of form. You can also print out form and mail to above address. If you wish to pay with check please mail check for first Quarter plus set up fee for a Total of $65.00. If you wish to pay with credit card, fill out the form below and submit, then go to secure form for credit card payments. Thank you. hit the submit button below to send the form. Copyright � 1999 [Texas Fishing Guides]. All rights reserved.